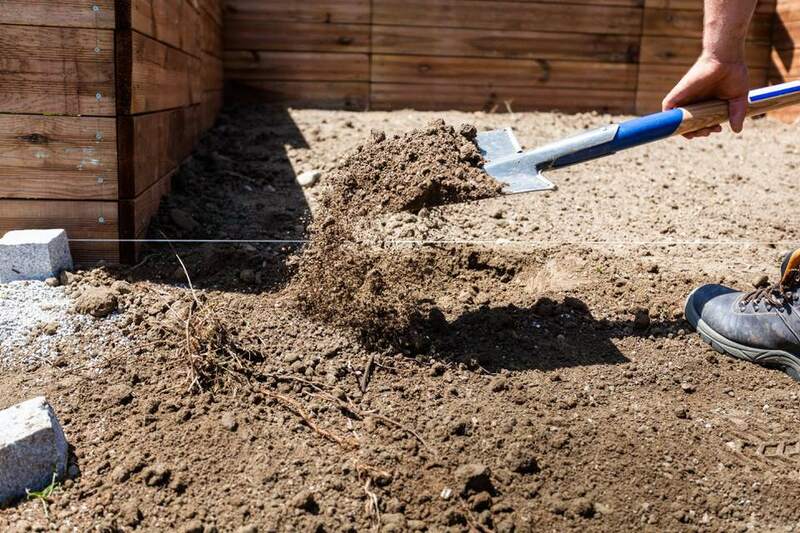 Visit Construction Sites: If you see a basement being dug for a new home or an inground pool being installed, there's a good bet they're going to have a bunch of dirt to haul off when they're done (and they're probably expecting to have to pay to dump it). Stop and ask if you can have it, and they'll probably say yes, and even deliver it to your home for free. Befriend a Farmer: Manure is a great amendment for your garden soil, and it's readily available. Jump on Craigslist or Freecycle, and you'll find lots of ads for free horse or chicken manure. Just know that you'll need to compost it before you can use it in your garden. Want something you can use right away? Then, look for rabbit manure. It doesn't have to be composted first. Ditch Clean Outs - Road crews are happy to give away the dirt that they dig out of ditches, but it'll come with lots of litter, weed seed and environmental contaminants from all the vehicle traffic. Waste Management Plants: Many sewage treatment facilities have begun to offer free compost, known as biosolids. Basically, it's what's left after all the sewage sludge is processed. While the process is strictly regulated by both federal and state government, I am still of the opinion that chemical residues from prescription medications and household cleaners are likely to be present in the compost that you're receiving. That's not something I'm willing to grow my food in. Potentially Contaminated Sites: Old home sites, urban lots and industrial areas are likely to be contaminated with dangerous levels of heavy metals and hazardous materials, so it's best to pass on any dirt from these places. Unknown Sources: Free fill dirt signs and ads are a bit of a wild card because you really don't know what you're getting, so stick to sources you know and trust. That's what makes stopping at a construction site so great. You can see what you're getting, and you know just where it came from. If you have any questions about the quality or safety of some dirt that you've been offered, take a soil sample, and have it tested. It may take some work to whip your free fill dirt into shape. Start by testing to see if the soil is too acidic or alkaline. You can do this without a test kit. If you'd like to know more about your soil, check with your local ag extension office. You should be able to have your soil tested for a nominal fee. Once you know what nutrients your dirt is deficient in, you'll be able to start working to improve it with these free amendments.